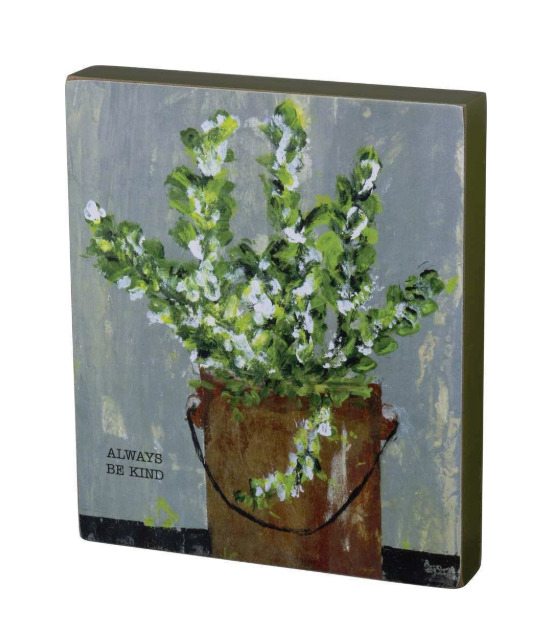 Created at the Friendship Heart Gallery in downtown Lancaster, PA by artists with intellectual disabilities and autism, a wooden block sign featuring a potted greenery with white flowers design, "Always Be Kind" sentiment, and solid color trim. Contains predrilled back keyhole for easy hanging or can free-stand alone. 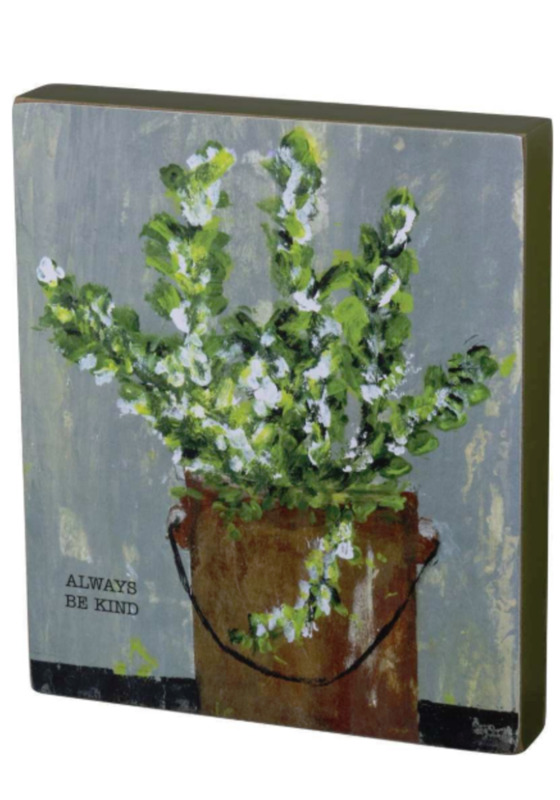 A portion of the proceeds from this sale will be donated to this local gallery to continue their mission to promote artistic expression for local artists.